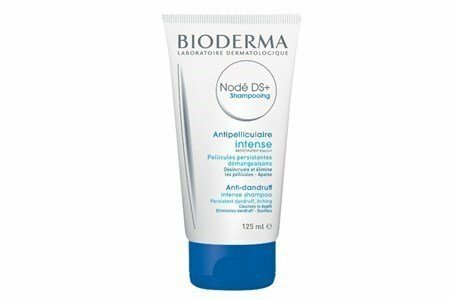 Nodé DS is Bioderma's shampoo-cream indicated for severe, persistent and recurrent dandruff states when associated with intense itching on the scalp. It's a shampoo with a gentle cleansing base (no soap), enriched with ultra purifying agents that purify and soothe the scalp. 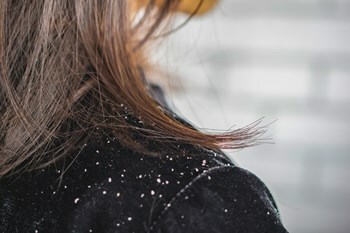 Due to the combined action of powerful keratolytic agents (salicylic acid, ichthyol, and essential cade's oil ), the Nodé DS stimulates the dandruff's elimination and prevents its reappearance. Helps preventing its recurrence by minimizing sebum secretion, which promotes the development of the Malassezia fungus. Enriched with soothing ingredients, Nodé DS + Shampoo-Cream, immediately and permanently soothes the scalp's itching. Apply 1 walnut size of the product on the moist hair and scalp. Massage well and leave to act for 5 minutes. Rinse thoroughly and repeat if necessary. In the following weeks apply 1-2x/week. In the need for a larger number of weekly washes, Bioderma recommends alternating the application of this care with the Node fluid or Node A.